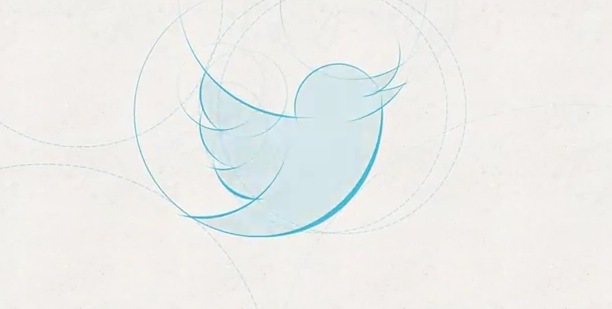 Twitter has today announced that it has eliminated its standard ‘Twitter’ logo, converting it over to a simple version of the blue bird most associated with the service. It’s a simple graphic that is crafted from overlapping circles. The bird, which was originally named Larry, has become an iconic bit of Twitter’s branding, so it makes sense that it would become the sole image by which the service was identified. Twitter says that the bird ‘is Twitter’ and that there is no need for text of any sort to describe the service. Twitter has updated its logo and branding pages to reflect the new look of its brand. There are some interesting things about this move. Eliminating logotype from the branding entirely is a bold move that assumes the ‘bird’ is a uniquely and instantly recognizable image. Most of the largest brands still have both a type-driven and symbol-driven aspect to their branding. Notable examples of brands that exist as a symbol just as well as they do as type include Nike and Apple. With the simplification (note the less furry nature of the new bird) of the logo, Twitter is hoping to create an iconic symbol of its own.